After cycling for less than half an hour, you’re in the countryside. Here is an itinerary for a one day bicycle trip through this tranquil area. Waterland is located just north of Amsterdam. Almost half the acreage of Waterland consists of water (hence the name) and the region is mainly fen, a marshy wetland. It’s comprised of nine historical villages and has many officially registered monuments, 391 to be exact. 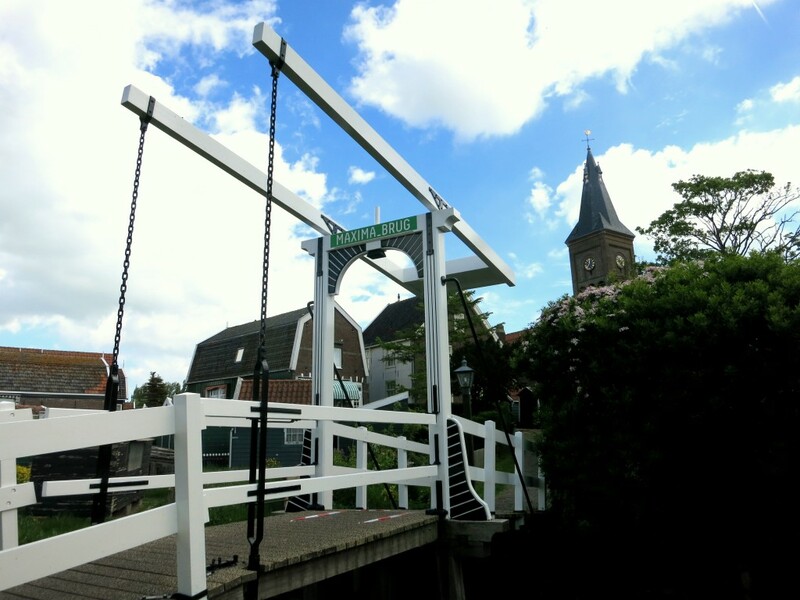 All in all, the villages of Waterland are the perfect candidate for a day trip by bicycle. 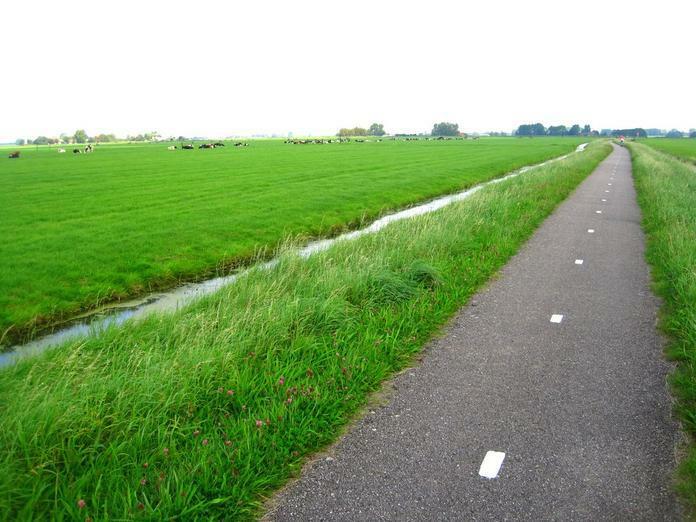 Just like the rest of the Netherlands, Waterland is made for bicycling. Designated bike paths connect the entire region and directions are very well indicated by road signs exclusively for bicyclists. The views are beautiful along the route. On a nice day in spring or summer, the green fields are full of flowers and sheep and cows placidly munch the grass. 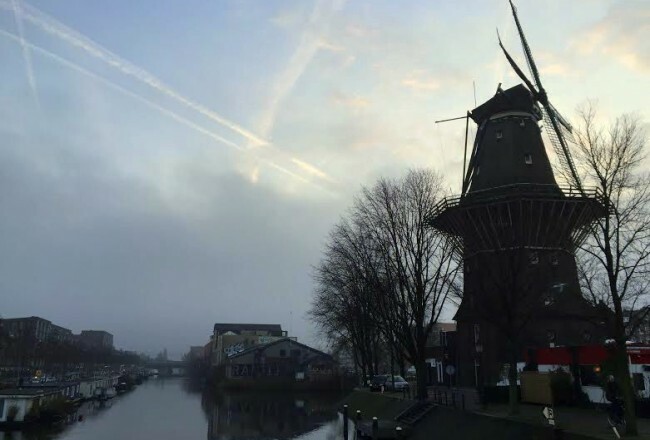 It’s very peaceful and you might even spot the occasional windmill. Take your bicycle on the free ferry from behind Central Station in Amsterdam to either Buiksloterweg or IJplein to start your bicycling trip through Waterland. The towns of Waterland are very charming and a great place to stop for refreshments. However, the scenery along the route is also lovely. Bring a blanket and stop for a picnic in the fields on the way! Broek in Waterland is around 15 km / 10 miles cycling from Amsterdam, which roughly translates to a one hour trip depending on the wind direction and how often you stop to take photos of sheep. 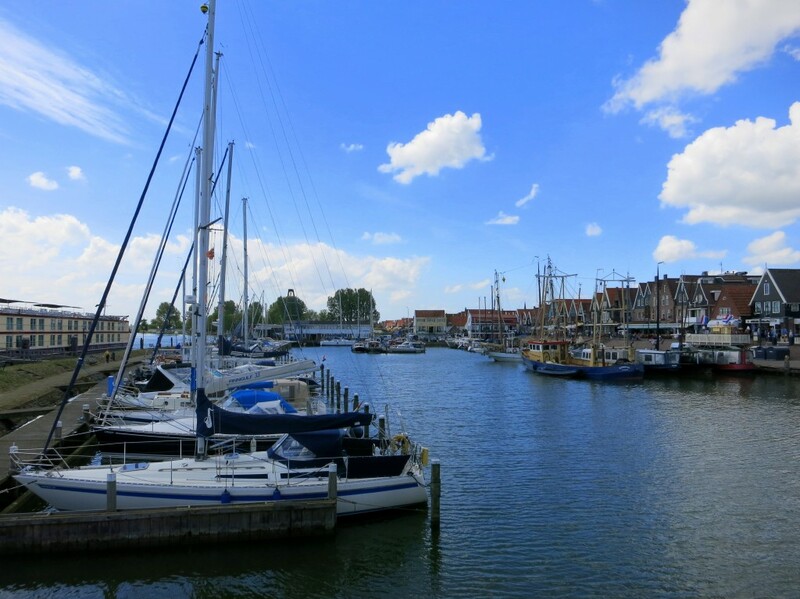 Monnickendam, with its well-preserved historical center, is the second stop on our day trip. This monumental city with around 10,000 inhabitants is known for its smokehouses, cheese, and shipyards. It’s a lively city with many charming streets. With its four yacht harbors, it has also become a popular boating area. 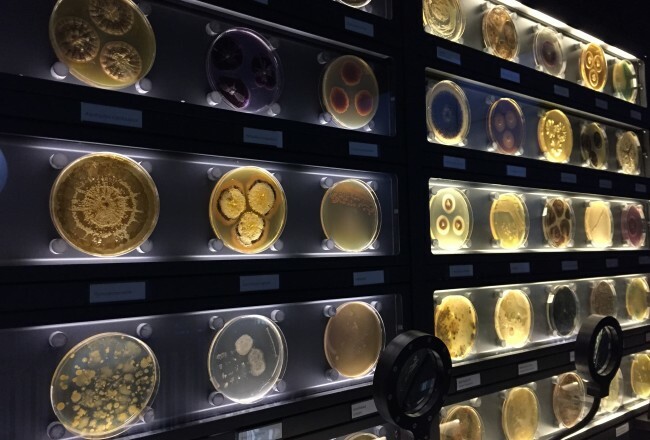 Many classic vessels, such as klippers and jalken, are worth seeing. It’s also possible to rent one of these classic boats, including a skipper, and sail on the Markermeer. Beware that in high season Monnickendam might be overrun with tourists around the main harbor area with its many shops and restaurants. But step off onto the quaint side streets and you’ll likely be all alone. Phew! We also recommend hopping on the ferry to sleepy Marken. Get boat tickets here. The nearby Katwoude is both nationally and internationally known for its cheese farms. It may not be worth a trip on it’s own unless you are very into cheese, but if you’re visiting Monnickendam it’s only 3 km away. Many tourists visit this tiny village (just over 200 inhabitants) to see just how the famous Dutch cheese is made. Other sights in Katwoude include a classic Dutch windmill. Monnickendam and Katwoude are located 20 km (approx 12 miles) from Amsterdam. 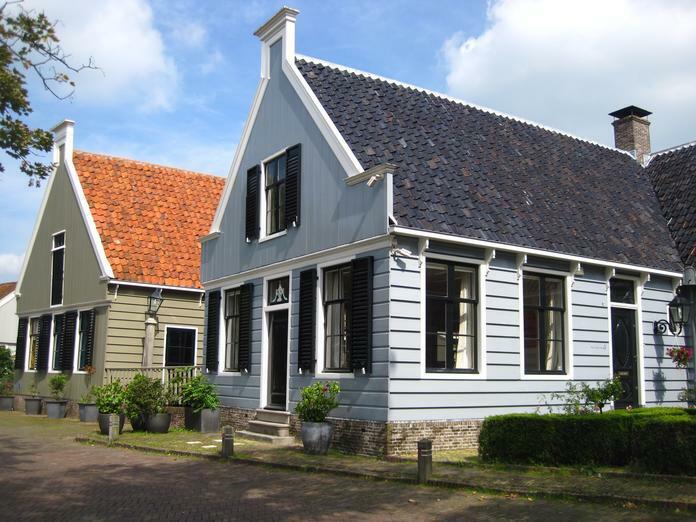 Another village definitely worth a visit is Marken, famous for its monumental wooden houses. Many of them are built on wooden poles as flooding was common. Marken has only been shut off from the sea since 1932. Marken used to be an island, but has been connected to the mainland since 1957. Cars are not allowed in Marken which preserves the historical feeling in the village. It’s a wonderful place to wander, but of course please respect the privacy of the residents and don’t peep in their windows no matter how tempting it might be. Marken is located 23 km / 14 miles from Amsterdam; a trip for the true cycling enthusiast! However you can also hop on the ferry between Marken and Monnickendam for an easier route. And taking a boat is always nice. Get tickets for the ferry in advance here. 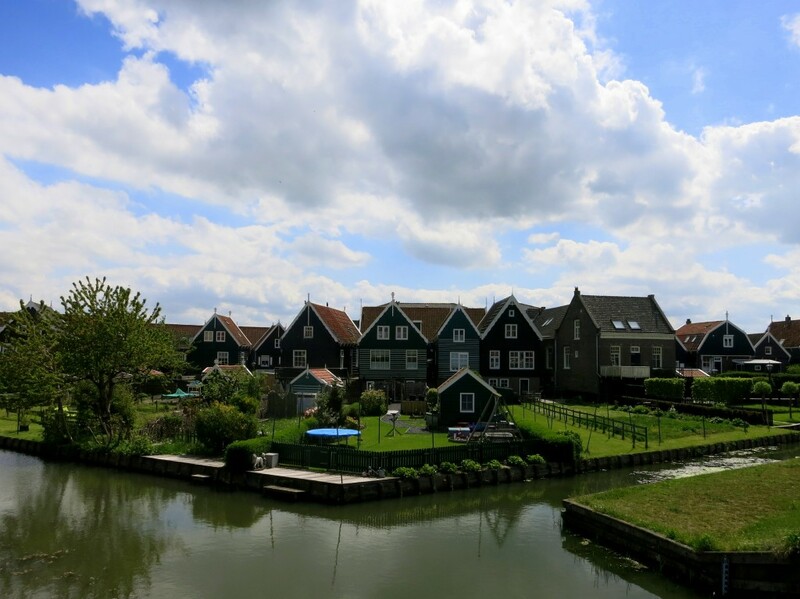 Read more about a day trip to Monnickendam, Marken and Volendam here. It is wonderful to visit Waterland by bike but what if you prefer walking? There are many dedicated walking paths in Waterland where you can enjoy a long stroll. Circumnavigate Marken or walk from Monnickendam to Volendam. You can find many walking routes on this website or just follow posted signs. 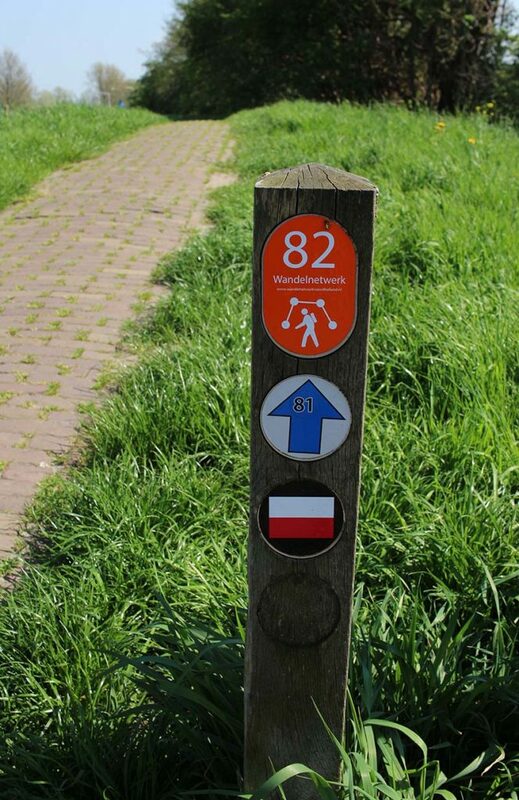 The trails are marked with colored arrows and numbers on poles. If you prefer not to cycle you can also visit many of the towns of Waterland by bus (or auto of course) for a day trip from Amsterdam. 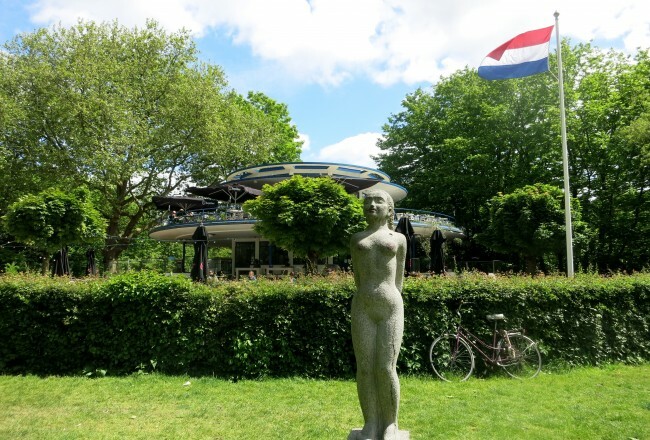 Tour buses go to Monnickendam, Volendam, Marken and Broek in Waterland but you can also take a public transit bus from the north side of Central Station. Check out 9292.nl for details on what public transport you can take from your location, or read more here. Have fun and enjoy Waterland! It’s one of my favorite day trips from Amsterdam by bicycle or bus.